The Focal point Venture Group braved the elements on Saturday to visit the Selsey Lifeboat Station to watch the proceedings taking place during a training exercise. The crew and station personnel were very welcoming, and gave our group a conducted tour of the Station and the new Shannon Class lifeboat before launching for the exercise. We watched the launching procedure from start to finish and the coxswain carried out a series of passes for our benefit which gave us the opportunity for some close up action shots. After the exercise, we all proceeded for a breakfast down the road at Bosham, where the bacon butties went down rather well. Andy and John P returned to Selsey to photograph the recovery of the boat, after the exercise, braving the elements which by that time had turned decidedly spiteful. Probably vengeance for JPs hat! 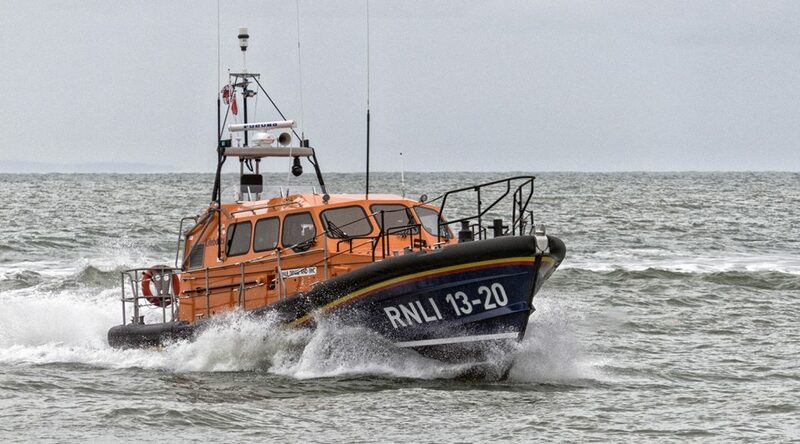 A most enjoyable morning, and a special thanks to the crew and station personnel of the Selsey Lifeboat Station.